With such a vast area to explore we would like to show you what you can see and where you can go. Your unlikely to get lost at Lonsdale Park although perhaps getting 'lost' every now and again would give you more time to truly enjoy the area. There are fantastic lake views, quality fishing, wildlife and a variety of flora & fauna which create a brilliant feeling of relaxation and space, this is after all what a holiday is all about. 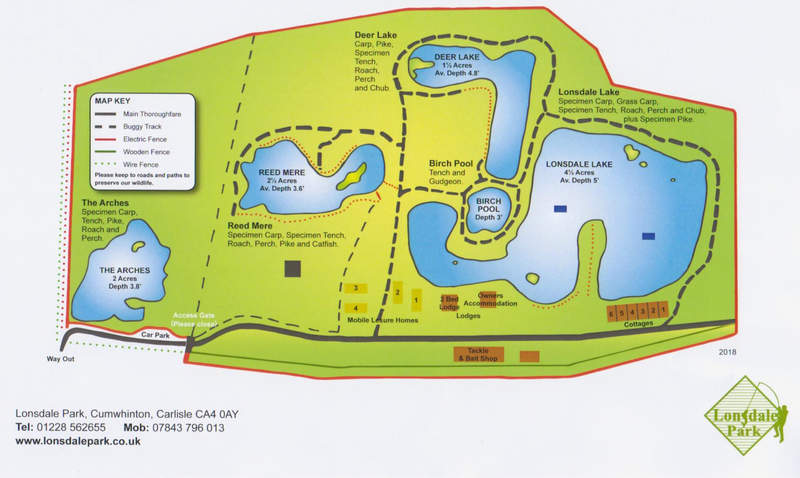 We provide this map to give you a little more information about our lakes and how the parks laid out. Perhaps you could use it to make a 'plan of attack', of exactly where your going to go and what to see before arriving. Below is Lonsdale Park from the air.